There are few things more beautiful in late summer than the jewel tones of a cut watermelon. And few things more delicious than biting into that thick slab of rosy-red fruit, juice dripping down your chin. We won’t even get into that guilty pleasure of shooting the seeds out of your lips when nobody’s looking. Look for a firm, symmetrical melon free of bruises, dents, or cuts. The melon should be heavy for its size. Look for a creamy yellow spot on the underside from where the melon sat on the ground and ripened. 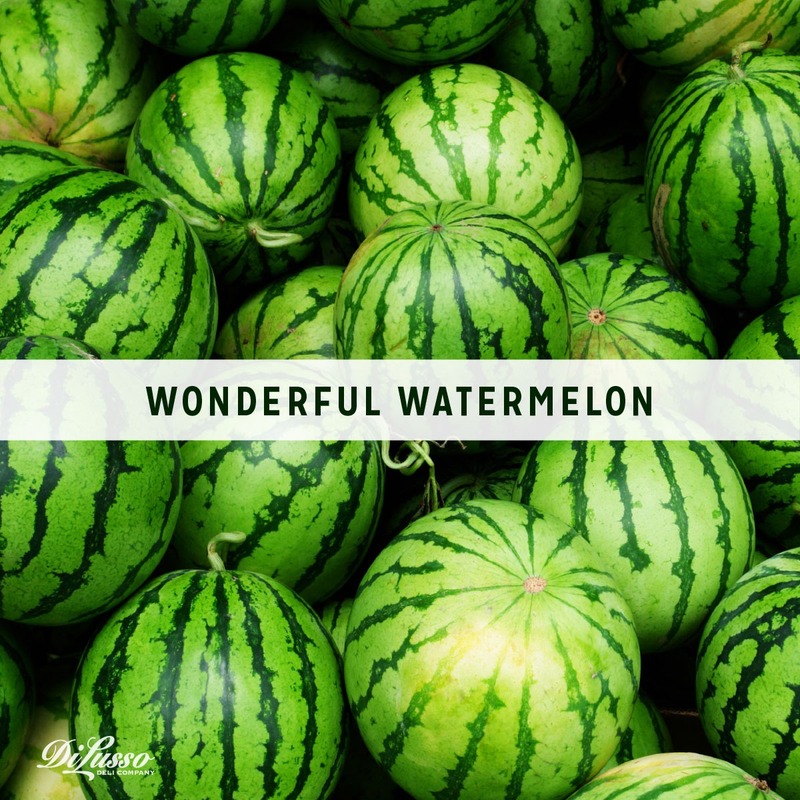 Rich in vitamins C and A, plus B6, potassium, phosphorous and manganese, and with 91 percent water and zero fat, watermelon is as good for you as it is delicious. Though it’s naturally perfect as is, there are many ways to use watermelon to make inventive and refreshing dishes friends and family will love. Prosciutto, Watermelon, and Goat Cheese Bites are a wonderful appetizer for a summer day and they’re simple to make. 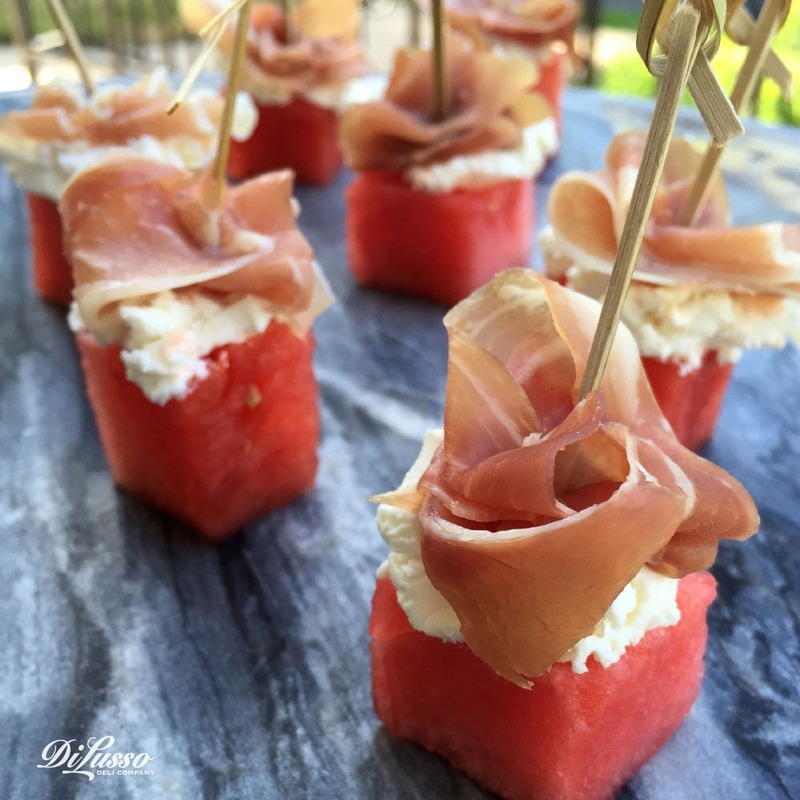 Cut watermelon into bite-size chunks, place a dab of goat cheese on the watermelon and wrap each with a piece of DI LUSSO® Prosciutto (you’ll want to cut the prosciutto slices to a size appropriate for wrapping the watermelon pieces). Insert a fancy toothpick into each to hold it all together. Spread both halves of a sliced focaccia roll with softened boursin-style cheese or herb cream cheese. Top with sliced DI LUSSO® Oven Roasted Chicken Breast. Grill thin slices of seeded watermelon until warm. Place atop chicken. Top with arugula leaves and the other half of the roll.